Spotlights deliver just the right amount of bright light just where you need it, be it on a painting or a collection of your favorite souvenirs to a counter or other activity area. Many of Banyo’s spotlights can be used with energy-efficient LED bulbs or come with LEDs built in, to save on your electricity bills and be kinder to the planet. To add a very chic touch to your home, consider buying the most sensual lights with complete performance in amazingly realistic prices. 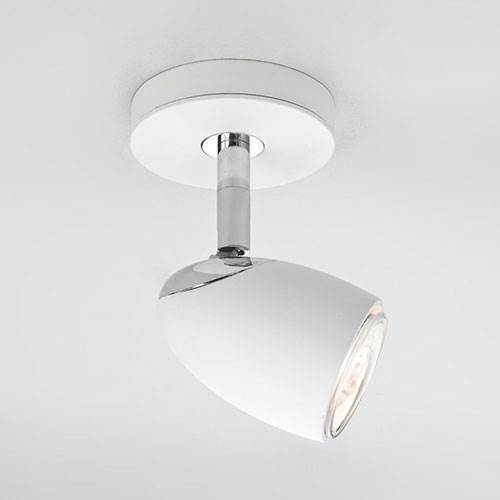 Banyo brings you amazing collection of Spotlights products for your homes with services like Manufacturer’s Guarantees over all products and fastest delivery services for the UK residents. Three multi-angled chrome LED spotlights mounted to a circular chrome base. 3 x 6 Watt LED bulbs. 1680 lumens. Four multi-angled chrome LED spotlights mounted to a fixed chrome rail.